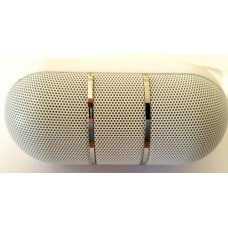 Listen to your favorite music on the road, on vacations wherever you like with the new speakers "capsule" in incredible colors! Use the speaker to listen to music from your mobile phone using Bluetooth, select the type of light you want to accompany the music and answer your calls. Modern design and compact size for easy transport.